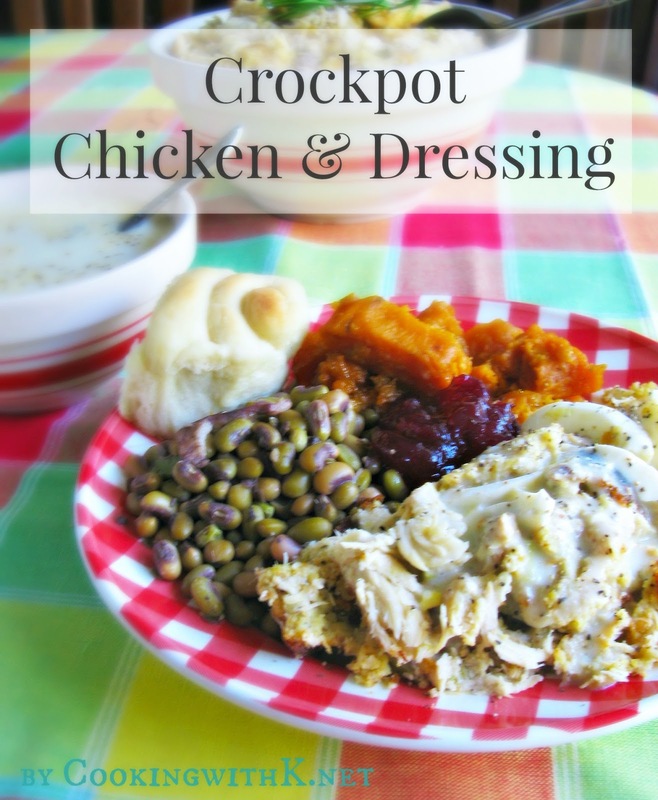 Crockpot (Hen) Chicken & Dressing, all the bells and whistles of traditional Turkey and Dressing flavors cooked in a crockpot. A Southern favorite all year around! During our cool spell here in Texas a couple of weeks ago, I had a hankering for some Chicken and Dressing after seeing a Facebook friend post that she was making some for her family. I grew up eating Chicken and Dressing or as some may call it Hen and Dressing as did my husband, but through the years we got away from making it so much. We turned to eating Turkey and Dressing only around the holidays. After reading her post, I just couldn't get it out of my head how good it sounded. Some may be asking, what is a hen? You may not know this -- All hens are chickens, but not all chickens are hens. Hens are female chickens that are slightly larger than the males. Basically, they are mature egg-laying chickens. When hens reach about 20 months old, their egg production decreases and they eat more feed than they can pay for in egg productions so they are better served in a stock pot bringing the most flavorful rich broth. The key to cooking a hen is to cook it for a long time and with plenty of water. This is where a crockpot comes in handy during the hot months of the year or just out convenience when you want to come home to a Sunday lunch after church and it's ready to be put on the table. Just like the hen is cooked in the crockpot so is the dressing. I put the chicken on before I go to bed and cook it all night on low. The next morning I lift the hen out of the crockpot and place it on a platter to cool enough to debone. While it is cooling I begin making the dressing. I cook the hen with onions, celery, and fresh herbs, and because we like a little crunch with the dressing, I add celery and onions again with dried herbs to bump up the flavor some more. You can't even imagine how incredible my kitchen smells. While the dressing is simmering away in the crockpot, we leave for church. We return and open the door. The chickens we purchase in the grocery stores today are slaughtered when they are very young tender chickens. The problem with this is they can be bland because they haven't lived long enough to have a strong chicken flavor. I find this to be true with buying chicken breast, but this is not the case with hens sometimes called stewing chickens that live a long full chicken life. Don't get me wrong, young chickens have their place and produce delicious recipes and I buy them. The thing about hens is they are too tough for many popular recipes, but their rich flavor makes them perfect for Chicken and Dumplings, Chicken Spaghetti, and all kinds of soups and stews. 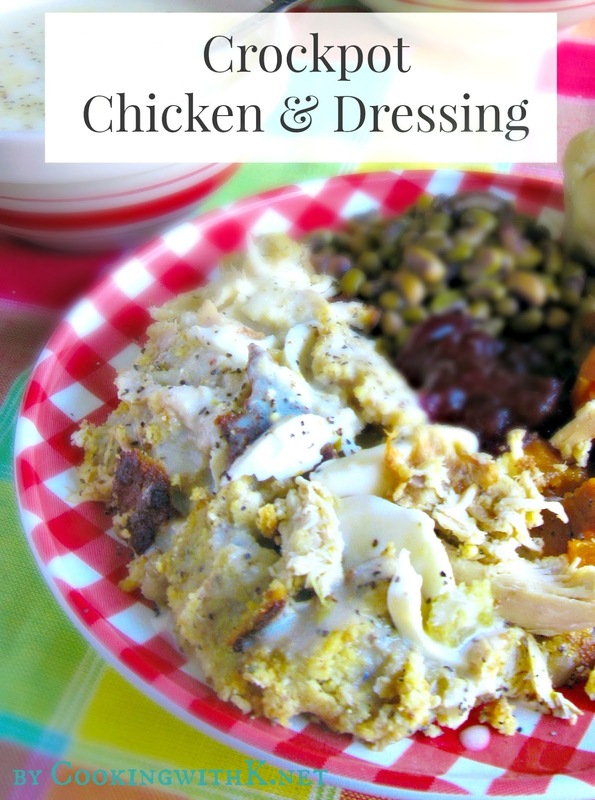 Y'all, Southerners love them some (Hen) Chicken and Dressing and it is not just for the holidays. 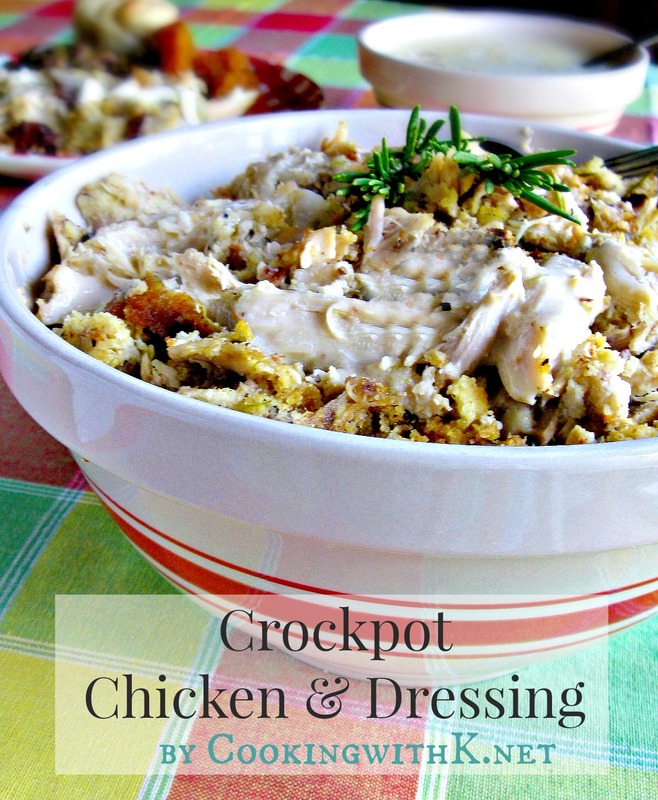 Many cook Chicken and Dressing in the oven, or as I did here, in the crockpot throughout the year. 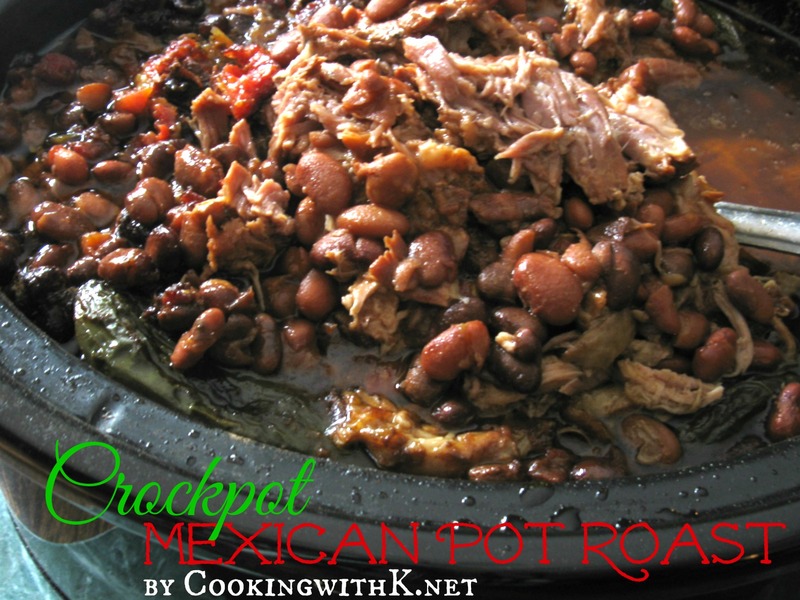 I hope you give this recipe a try and cook it in a crockpot. Enjoy! Salt and pepper hen liberally and place herbs in the cavity of the hen. Place the stuffed hen in the bottom of the bowl/insert to a crockpot. Smear butter evenly all over the top of the chicken. Arrange 1 cup onions and 1 one cup celery around the hen. Add water. 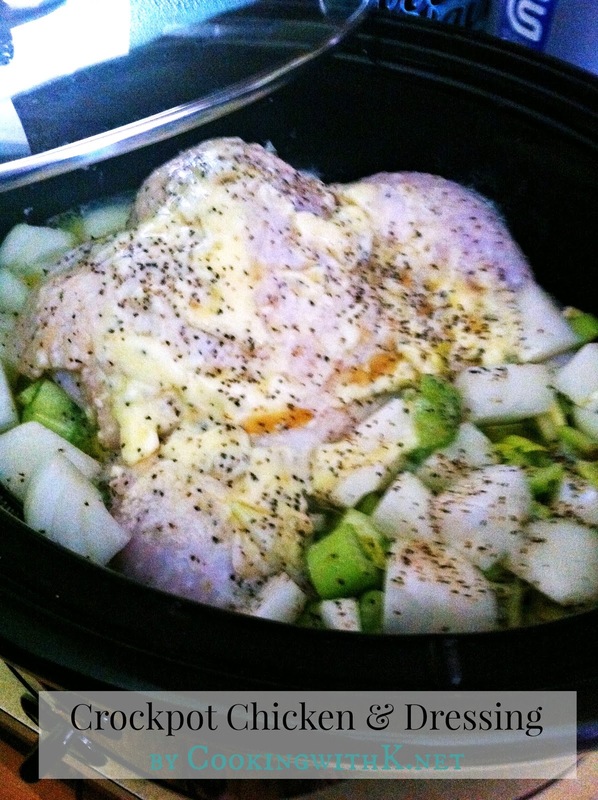 Cover and Cook 6-8 hours on low depending on how fast your crockpot cooks. It took mine 6 hours. Remove the hen from the bowl/insert and place on a platter to cool enough to debone. While hen is cooling, prepare the dressing. Remove the bowl/insert to the crockpot out of the heated part. Dip out and reserve broth for the giblet gravy. Leave 3 cups of broth in the bowl/insert. It should be about half. Add the cornbread and stuffing mix to the broth left in the bowl/insert and mix all together, using a potato masher, mix throughly. Add 1 cup chopped onions and 1 cup chopped celery, mix throughly. Add the milk, eggs, poultry seasoning, sage, salt, and pepper. Mix throughly. Debone the hen and slightly shred it. Reserve a cup for the giblet gravy. We like ours chunky. Add to the dressing mixture and stir with a large spoon distributing it evenly in the dressing. Place the bowl/insert with the prepared dressing back in the heated part. Cover and cook on low for 4-6 hours. 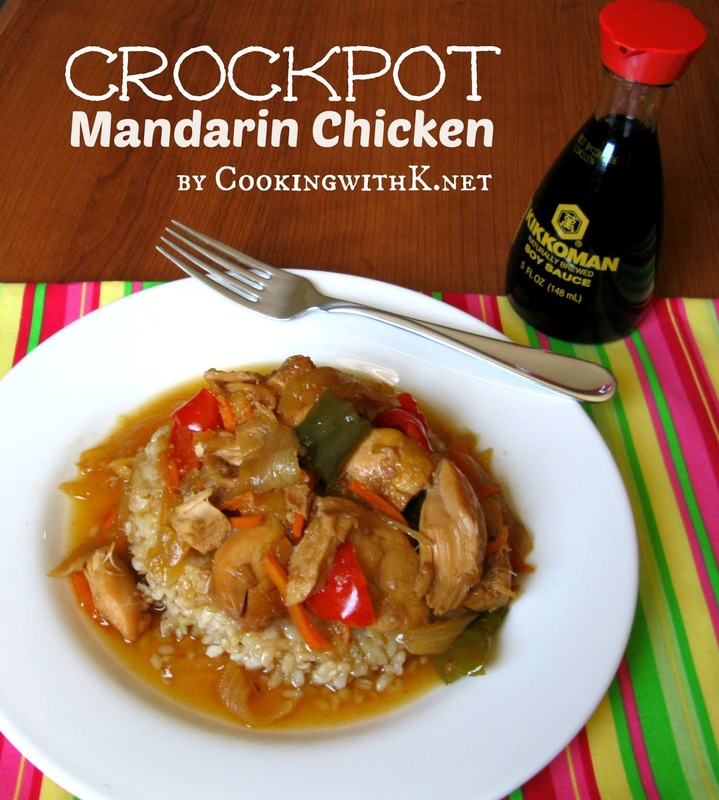 I have two crockpots and one will cook it in 4 hours and the other it takes 6 hours. So how long depends on your particular crockpot. In a small bowl, stir together water and cornstarch making a slurry; set aside. Add reserve broth to a saucepan. Heat until boiling. Add cornstarch slurry, stirring constantly with a wire whisk. Turn heat down to simmer and add half and half stirring until smooth. Add reserved cup of chicken and cook on simmer until starts to boil and turn heat off. Do not boil. Salt and pepper to taste. Just before serving add eggs. Serve over dressing. Are you following me on…. This recipe sounds delicious! And the photo at the beginning of your post looks like my "favorite" comfort food meal. Thanks so much for sharing! I learn something here today... the difference between hens and chickens....Good lesson.. Hens need to be cooked in stews, soups or things that need to simmer.. chickens.. well I suppose they are good for fried chicken or quick recipes...The crock pot chicken looks yummy. Love this idea! My slow cooker is one of my favorite kitchen appliances, and I know that my kids will adore this recipe. Pinned! You are going to be amazed how go this is….love my crockpot too! Thank you for stopping by!! This looks so delicious. Chicken and dressing is one of my all time favorite meals but I've never combined cornbread with the herb stuffing. I bet it tastes spectacular.